As any Malone Society member will know, there are plenty of obscure Renaissance dramas that never have been and never will be, part of the widely read canon. The Hogge hath lost his Pearle is one such play. It’s unlikely to appear as a set-text on school curriculums or on stage at the RSC. Which prompts the question: why bother with it at all? As the conference about the play revealed, however, even the most obscure dramas ought to be taken from the shelf and dusted off every once in a while. 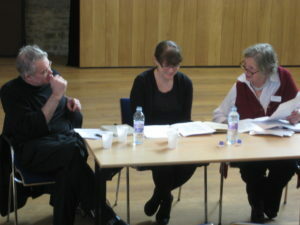 The conference took place on 22 September 2012 in Corpus Christi College, Oxford and was co-hosted by the Malone Society and the Faculty of English at Oxford. Participants of the event were treated to a delightful script-in-hand staged reading of the play (directed by: Elisabeth Dutton), which featured a young band of dancing wood nymphs and some pretty impressive, yet tricky, stage work with a ladder. This was followed by two panel discussions: one on performance aspects of the play led by Katherine Duncan Jones, and the other on the historical and textual context led by Lucy Munro. These revealed that Tailor’s play used tropes and plot devices recognizable in the more widely read and canonical texts of the period, including a fake death, a woman who disguises herself as a man, an avaricious usurer, and a mad scene. The blending of generic modes and lapses in narrative chronology struck familiar chords when considered alongside plays such as The Winter’s Tale; the father/daughter relationship between Hogge and Rebecca was particularly relevant when compared to the relationship between Shylock and Jessica. Though The Hogge Hath Lost His Pearle may never be considered a classic, seeing the play on its feet was the perfect way to redeem it from obscurity, allowing it a moment to shine as the centerpiece of a scholarly discussion. Click here to down load the staged reading cast-list. It’s nearly the eleventh hour, but there is still time to register for our conference on Robert Tailor’s The Hogge hath Lost His Pearle. See you there! Ferdinand, Anthony, and Frank all love Phyllis, but she only has eyes for the Cripple of Fenchurch. Her father, Flower, lends money to Bobbington and accepts a stolen diamond ring as security. Meanwhile, Mall Berry fends off unwanted attention from Bowdler, who tries to impress her by quoting Shakespeare. The Society’s edition reproduces the 1607 printing in type-facsimile. This was the play’s first and only substantive edition, and includes a doubling plan for eleven actors which is viable only for a group reading, not for a fully staged production. 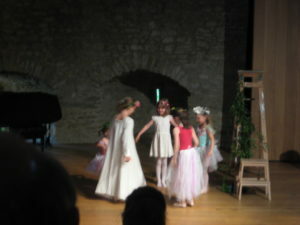 It was one of the first plays to be licensed for the press by Sir George Buc, the future Master of the Revels. If you have not yet registered for the upcoming conference on 22 September, there’s still time. Take a look at the Hogge Conference Poster for all the details. We look forward to seeing you in Oxford! The jealous husband John John defends his practice of wife beating, while the lascivious Sir John seduces the suspicious man’s wife with a pie. Tyb brings home her baked good to share with the curate, which results in a drama-filled dinner party, filled with stories of dubious pregnancies attributed to miraculous conception! The Malone edition, edited by G.R.Proudfoot in 1967, is from the only known early edition, printed by William Rastell on 12 February 1533. This offer has now expired; to order the book at the regular price please visit our online shop. The ambitious Vortigern will stop at nothing for the crown. But the Saxon Hengist outsmarts him with an ox-hide and becomes King of Kent. Eventually the rightful heir Aurelius reassumes control and gives Hengist the option of execution, exile, or conversion. Which will he choose? Meanwhile a gang of rogues pose as travelling players and convince a Puritan that he actually likes plays. The Malone edition is a transcription of the Portland Manuscript held in the University of Nottingham Library (MS Pw.v.20), a presentation copy probably transcribed in the 1640s from a playhouse manuscript, which preserves an earlier version of the text than the Quarto of 1662. Our volume for 2010 is an anonymous play, The Emperor’s Favourite, edited by Siobhan Keenan of De Montfort University. This text, which is printed for the first time, is one of four manuscripts bound together in a single volume in the library of the Newdigate family of Arbury Hall, Nuneaton. This edition establishes a case for attributing the play to John Newdigate III (1600—1642), and proposes that its narrative of the rise and fall of Crispinus, favourite of the Emperor Nero, acts as a veiled critique of the influence of George Villiers, Duke of Buckingham, at the courts of James I and Charles I. The volume is handsomely illustrated with several colour plates showing the hand of the manuscript. Jointly with the English Faculty of Oxford, the Society is once again sponsoring a staged (and costumed) play-reading and mini-conference. This will take place in the splendidly re-furbished MBI Al Jaber auditorium in Corpus Christi, Oxford, which some members of the Society will remember as the Old Music Room, on Saturday 22nd September 2012. The play is Robert Tailor’s The Hogge hath lost his Pearle, which was published in a censored version in 1614 after a disastrous premiere at the Whitefriars the previous year. It was edited for the Society by D.F.McKenzie in 1967. The day’s programme will consist of a performance of the play in the morning, followed, after a light lunch, by two discussion sessions. 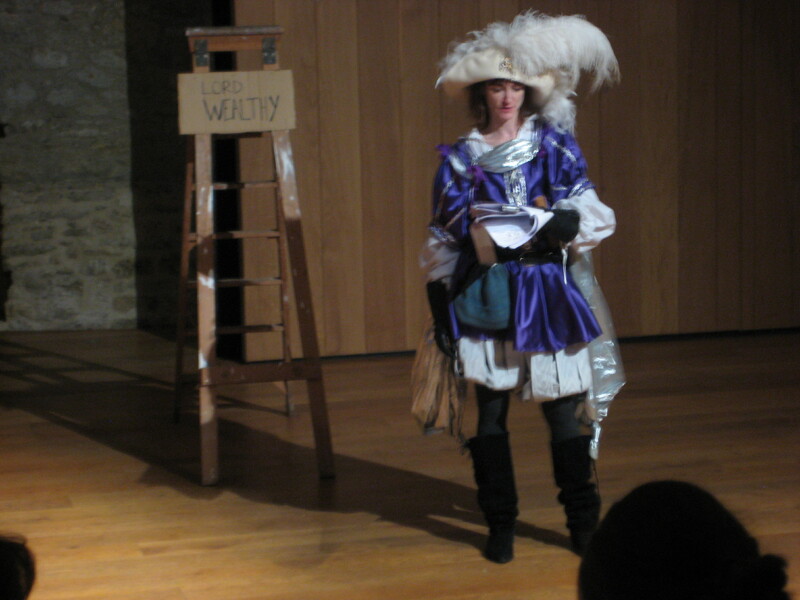 The first will be led by Dr. Nicholas Shrimpton (Emeritus Fellow of Lady Margaret Hall), who will be playing the role of ‘Hogge’; the second by Dr. Lucy Munro (University of Keele), an expert on the children’s companies of the early Jacobean period. For further details see the University of Oxford, Faculty of English page here. In honour of John Edward Kerry (1924-2008), the Malone Society offers an annual prize of 30 volumes to a deserving graduate student. 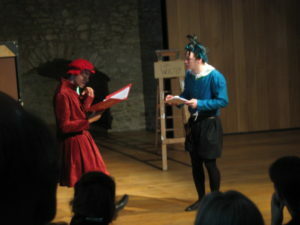 The recipient for 2010 was Matthew Kubus, PhD student at the Shakespeare Institute. The competition for 2011 is now closed, and the winners will be announced very soon! 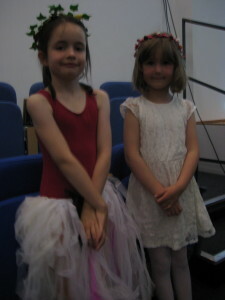 Also, check back for details about the 2012 competition. John left school at 16 to work in a London bank. He passed his bankers exams easily, but much more importantly for his career he became fascinated by the theatre, going to every production of note on at that time in London. Trained as a radio mechanic when he joined up in 1942, he served with the Fleet Air Arm in India. On demob he decided on an academic career and embarked on an honours degree at King’s College where he got a 1 st in 1950, one of only three at King’s that year to do so in English. He couldn’t afford to accept the Inglis studentship King’s offered him (value £85 – 100 in exchange for 3 or 4 hours tutoring each week) but went on to teach in London grammar schools, eventually as Head of English and Deputy Head, with a special interest in drama productions. Taking a sideways step in 1966 he became a BBC producer, School Broadcasting (Radio) and had the chance of working closely with contemporary writers such as Ray Jenkins, Norman MacCaig, Maureen Duffy and Ted Hughes, whose verse play “Orpheus” won the prestigious international Japan prize as the best radio or TV broadcast for schools in 1970. In 1972 John was appointed by Sir John Wolfenden to set up for the first time Education Services at the British Museum. Among other things he inaugurated films and slide shows as a regular feature within the public lecture programmes, and developed publications for teachers to make better use of the galleries on study visits, usually within the 16-19 age group. Another sideways step led to his appointment as Education Officer for the Trident Trust, bringing together the resources of industry, LEAs and voluntary organisations to help teachers to prepare 15-19 year olds for adult life, particularly in what is now known as the Gap Year. In his retirement he gave his time generously to CRUSE bereavement care, the local Talking Newspaper for the Blind and young people with learning difficulties. A much loved friend, father and grandfather, he died in 2008 aged 84.